The trench that the pex tubing will be placed in should be dug below the frost line (which is approximately at 3 to 4 feet deep in colder regions). Use a copper crimp tool to push copper connectors into the end of the pex tubing. 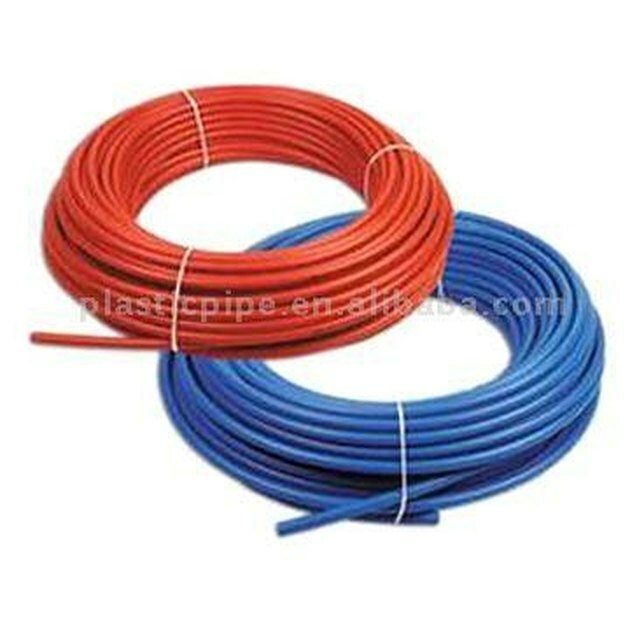 There are a variety of copper connectors that can be used for different angle connections with which you want to connect the next piece of pex tubing to the original. Cover the base of the trench with small rocks. Place the pex tubing in the trench. Cover the tubing with a couple inches of sand. Refill the trench with soil. If you are worried about the pex tubing getting crushed or dug into, you can push the pex tubing into a piece of electrical conduit that will act as a protective metal sheath.